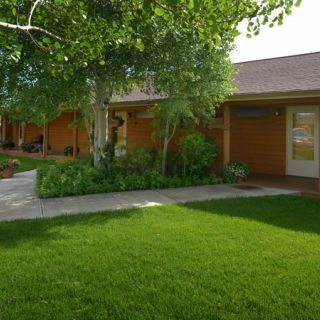 Surrounded by great outdoor activities such as world class fishing and must-see attractions like Virginia City and Yellowstone National Park, the Rainbow Valley Lodge is perfect for the whole family. 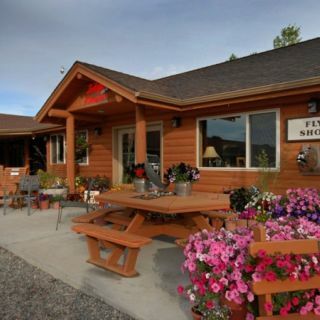 We offer a friendly, fun-filled, western atmosphere View more... for a memorable Ennis, Montana vacation experience. 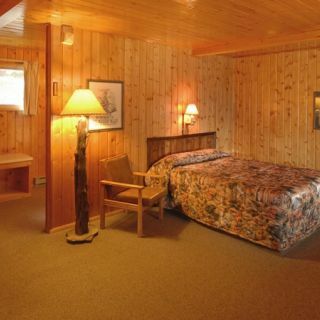 The lodge has 24 comfortable rooms and off-property cabins are decorated with rustic log and knotty pine interiors to give you that ideal cabin feel. Take a swim in the heated pool, enjoy a free continental breakfast daily while chatting with gracious hosts, Ed and Jeanne. 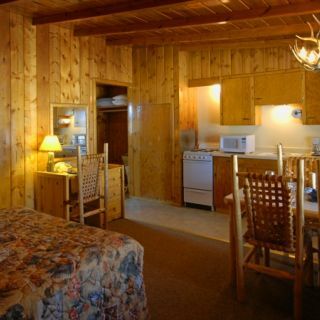 Enjoy our excellent Montana location, outdoor recreation, and relaxing cabin experience. 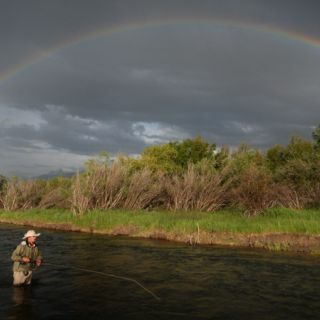 Make the Rainbow Valley Lodge your fly fishing headquarter as you tackle our world-class trout. 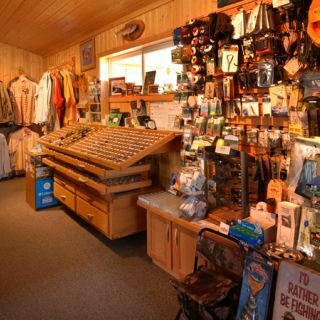 Get fishing tips in our O’Dell Creek Fly Shop located in the Lodge. 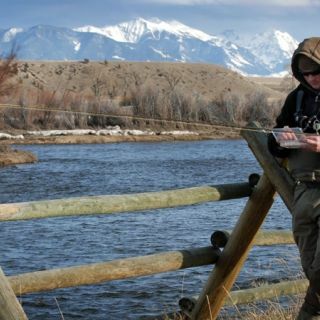 Take a hunting trip in the heart of the Madison Range, one of the premier hunting areas in the U.S. 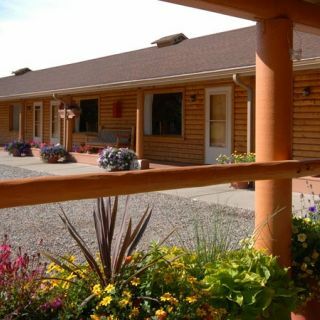 Whether you come for our excellent location surrounded by attractions and recreational fun, or our peaceful cabin rooms for a relaxing getaway, you will create fond memories here at the Rainbow Valley Lodge. 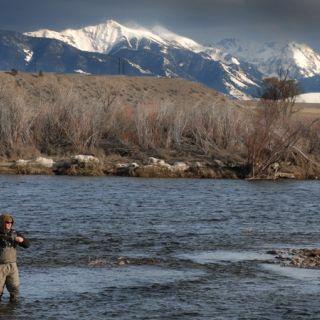 The Madison River is formed by the confluence of the Gibbon and the Firehole River in Yellowstone National Park. As the Madison flows from the Park, it enters Hebgen Lake. Cool water exits the lake and begins the “50 Mile Riffle” to Ennis Lake. 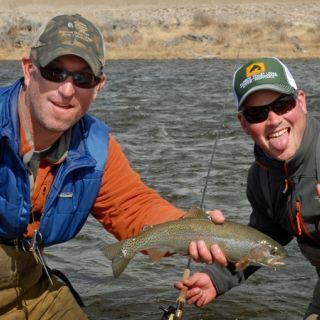 In this section of the Madison River you’ll find good populations of rainbow and brown trout that average 14-16 inches. Larger, 20+ inch fish are not uncommon. 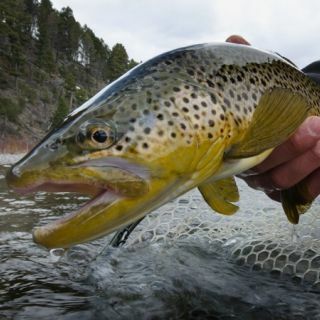 The Madison River is blessed with numerous hatches over the course of the season. 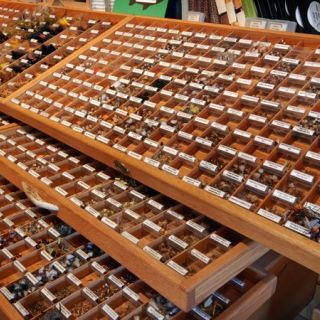 Most notably is the Salmonfly hatch which occurs mid to late June. 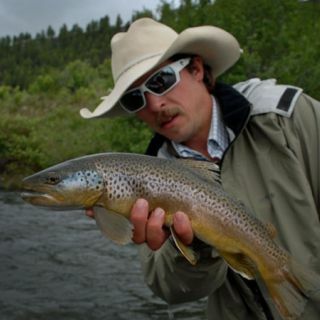 Anglers fish with large dry fly patterns during the hatch that fish smack hard on the water’s surface. Blue Winge View more...d Olives and Midges start the season in late March or April giving pre-runoff anglers a chance to catch fish on top as winter winds down. Through the season, Caddis, Pale Morning Duns, Golden Stones along with Hoppers and Ant bring trout to the surface to feed on top. 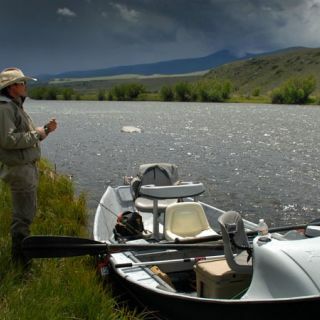 Numerous fishing accesses and boat launches along the Madison River from Hebgen Lake to Ennis Lake provide access to floaters and waders alike. Wade fish the famous “Three Dollar Bridge” or “Ennis Bridge” in Ennis to access some of the Madison’s finest trout water. Or pick a section of river to drift for an amazing day on the water. 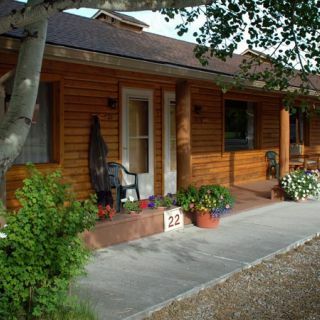 The comfortable accommodations at Rainbow Valley Lodge range from single rooms, to two bedroom fully equipped kitchenettes to deluxe, off-property cabins for comfortable extended stay vacations. 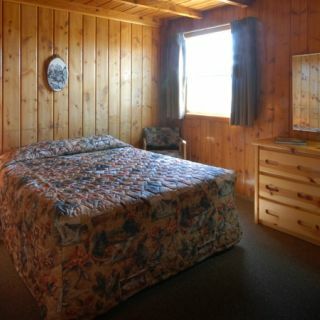 Choose from a variety of log cabin-styled rooms with tastefully landscaped grounds. Stay in touch with free, wireless internet. The heated pool is a welcomed treat for families late May through early September. Views of the Madison and Gravelly Mountain Ranges surround the Lodge. 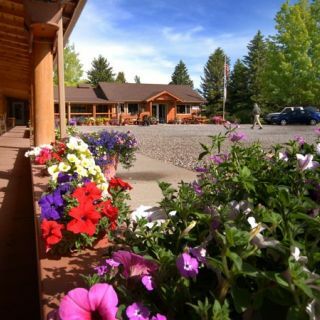 Sit on the patio and take in views of Fan Mountain towering more than 11,000’ above sea level. Free continental breakfast is served daily with a smile from your gracious hosts. 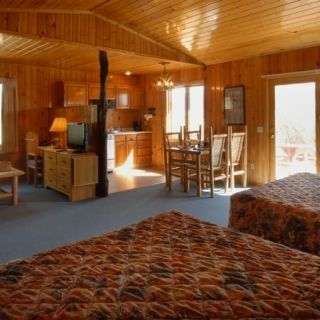 Our non-smoking accommodations feature writing desks, in room telephones, satellite tele View more...vision and lovely log cabin decor. 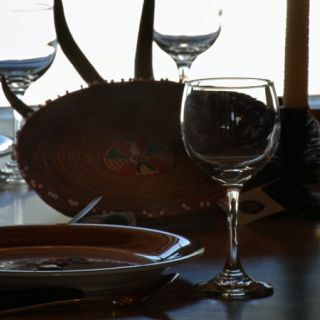 Want to see all that the Rainbow Valley Lodge has to offer? 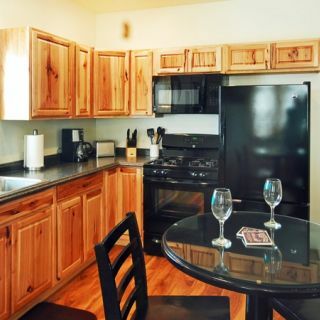 Take a virtual tour of our multiple bed suites, single room accommodations, kitchen suites, or off-site cabins. Great lodge. Great people. Great fishing!